I AM A LITTLE HARD OF HEARING TODAY. MY SON AND I HAD 2 BIG TOMS STAND BEHIND US AND GOBBLE, GOBBLE, GOBBLE FOR 20-30 MINUTES. THEY WERE PLENTY CLOSE ENOUGH TO SHOOT, BUT THERE WAS TOO MUCH BRUSH TO TRY TO SLIP A SHOT THROUGH. WE JUST SAT TIGHT AND WAITED FOR THEM TO COME AROUND IN FRONT OF US, BUT THEY WANTED THAT “HEN” TO COME TO HER. Actually we did not hunt very much over the weekend; only got to slip out for awhile one evening, but we were “on” turkeys the entire time we were in the field. 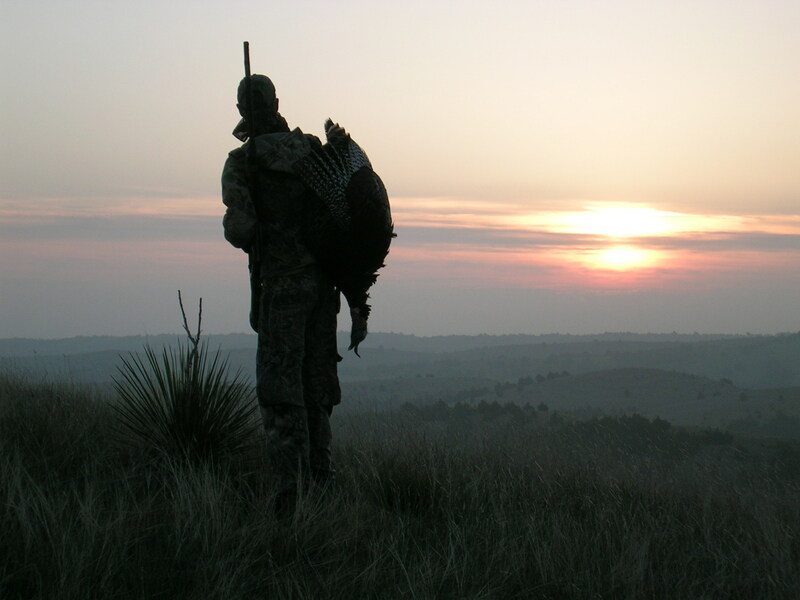 Ask me what the “key” is to killing big Toms in the spring and I will tell you 3 things–scouting, scouting and scouting; we knew exactly where to be for our evening hunt. We spent a lot of time before the season scouting areas and watching birds and I enjoy that as much as the actual hunt. Actually you know what? That IS the hunt! Around here we are very used to football coaches talking about and emphasizing the “process”. The success will come as long as you do it right, as long as you follow the process and prepare. Hunting and fishing is no different. I love to kill big Toms and catch big fish, and you better believe that is what I am out there for, but over the years I have learned that the quickest way to that successful ending is to do it “right” along the way. It is NOT all about the kill or the catch. Make sure you take time while in the field or on the water to do it right and enjoy the process along the way. Take someone along with you and make sure you teach them the entire process as well! My son and I could have easily dropped the hammer on 3 different Jakes, but we will save them for next year! At one point we had a big Tom in front of us, two big Toms gobbling right behind us and Jakes wandering all around us. It was a great hunt, a beautiful evening to be out. Birds will die in due time, it is just a matter of time. Really nice photograph! Looks like a good end to a productive day of hunting and good memories for your son and you.